Don’t toss those grapefruit peels, use them to whip up a quick and easy grapefruit scrub that will exfoliate and wake up you skin! This sugar scrub recipe is one of my favorites—just look at this color! 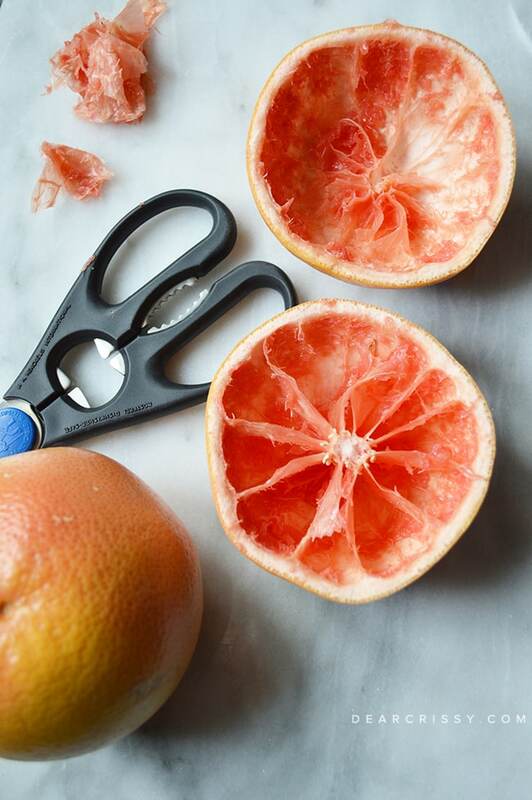 I enjoyed a tasty ruby red grapefruit this morning for breakfast, and afterward, I decided to cut out the inner pith and scrape out any of the juicy fruit that might be left and toss it in the blender to make a simply DIY grapefruit sugar scrub. I added a bit of sugar and apricot oil and in about 45 seconds had a fantastic grapefruit scrub! With blending the sugar as well, this is a very gentle grapefruit scrub that would be nice for more sensitive skin or those that don’t care for scrubs that are a bit too invigorating. Grapefruit has many skin-boosting benefits. 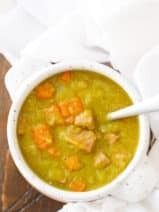 It contains a high amount of Vitamins A and C, and is loaded with minerals and anti-oxidants that can help protect your skin from environmental hazards and even stimulates the production of collagen. RELATED: Check out this moisturizing Satsuma and honey sugar scrub. This grapefriut scrub also renews damaged skin and helps reduce the appearance of age spots, making this DIY sugar scrub a wonderful gift for your skin. I’m storing what is left of this grapefruit scrub in a sealed container in the fridge until I’m ready to use it again just to make sure it stays fresh. I’m not exactly sure what the extended life of this part of the fruit might be, so I’ll plan to use it in the next couple of weeks just in case. Take care when using your grapefruit scrub in the shower or wet surfaces as things might be a bit slippery after using this. Rinse thoroughly and pat your skin dry. 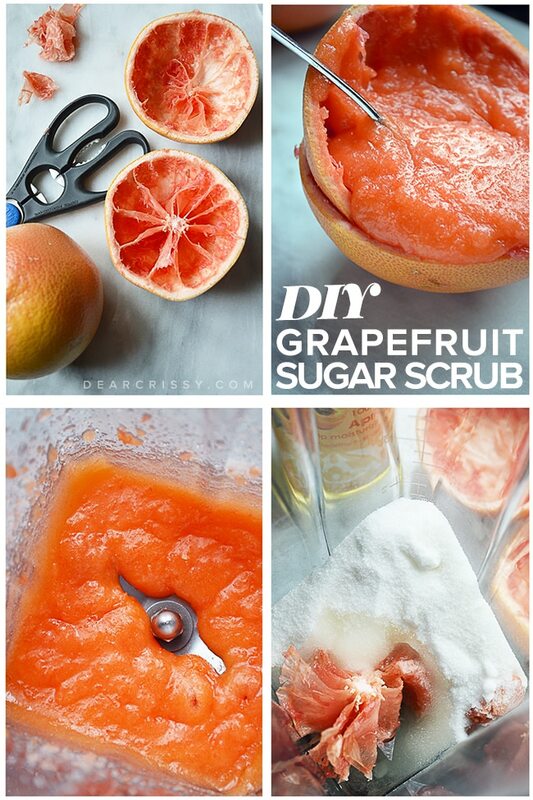 I hope you enjoy this lovely DIY grapefruit sugar scrub! Be sure you’re following along with us on Pinterest for more DIY beauty recipes, tips and tricks. Follow Crissy Page | dearcrissy.com’s board DIY BEAUTY on Pinterest. 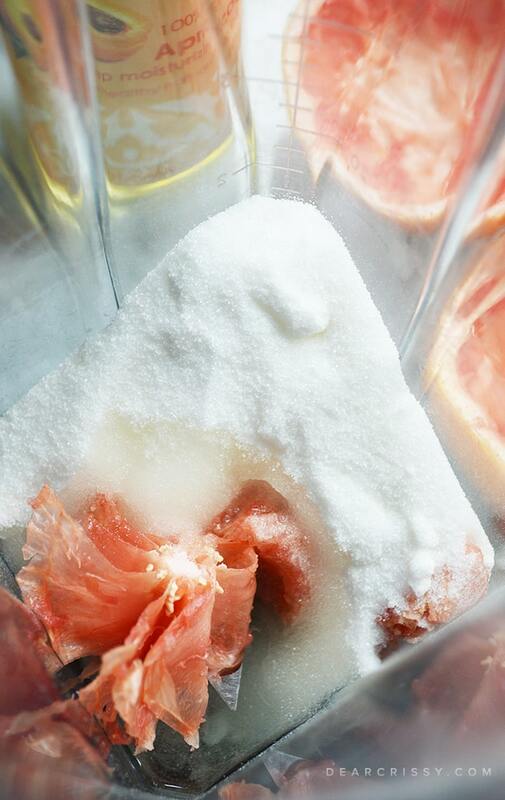 Exfoliate dull, dead skin cells with this gentle yet effective grapefruit sugar scrub! 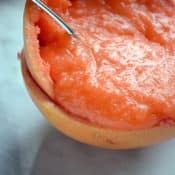 Cut the center pith from one full grapefruit and place in the blender along with any leftover fruit and juices that might be available. 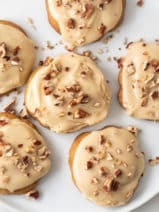 Toss in about 1 cup of white sugar and add 1 to 3 tablespoons of apricot oil (depending on how wet vs. dry you would like the scrub to be). Blend on medium or high until you have the consistency you’re looking for, I think I blended ours for about 45 seconds in our Vitamix. 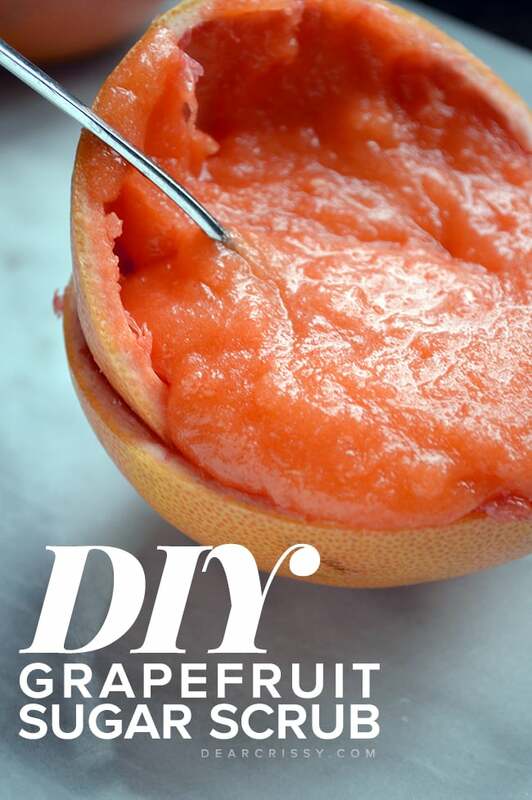 I tried this, but used a juicer to obtain the juice, pulp and rind of the entire Grapefruit. I place the mixture in a glass container, (I prefer glass besided plastic). This is one of my favorite Sugar Scrubs!! Instead of white suhar, I normally use light or dark brown sugar for majority of my scrubs. The scrub lasted about 3 weeks, ( I exfoilate at least twice a week). I LOVE the smell, and I added a jojoba oil instead of apricot oil. Is there a shelf life after this scrub is made? Being it’s made with real fruit I do that want it to go bad if made for gifts. hi, i have acne can I still use it and why the apricot oil?? 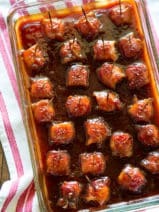 That scrub looks amazing, can I replace the the apricot oil for coconut or olive oil? Thanks for this reminder, Chrissy. I have two beautiful Ruby grapefruits waiting for me. I love fresh from then kitchen beauty treatments. 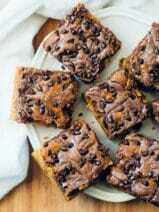 Love the idea, thanks for the recipe, will definitely try it this week! Cracking up. Nice catch on that one, haha!